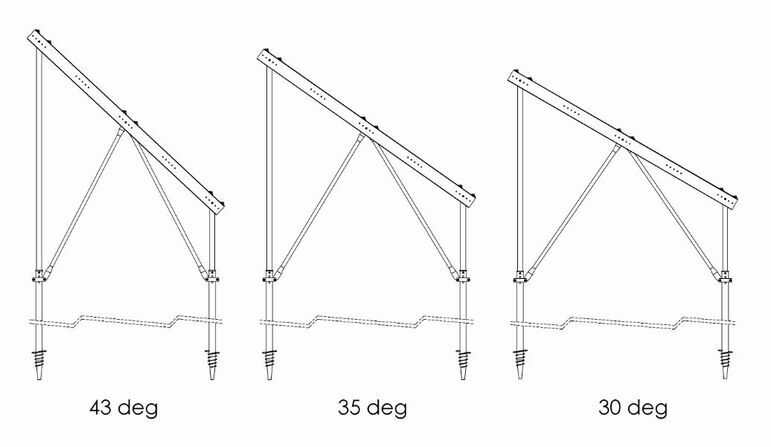 We offer our solar structures with a variety of angles and lengths, which can be seen below. Our framework structure has been developed to be one of the lightest on the market, in order to save time and money by using less material and faster construction methods. 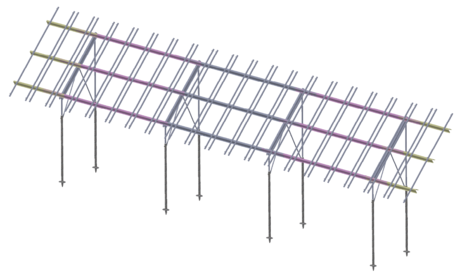 With the option of pre-assembly, the structure folds flat and packs together tightly. The pre-assembled system saves money on compact packaging, maximizing freight and saves 40% more time when installing piece by piece. Simply unfold and attach the pre-assembled frame to the ground screws. 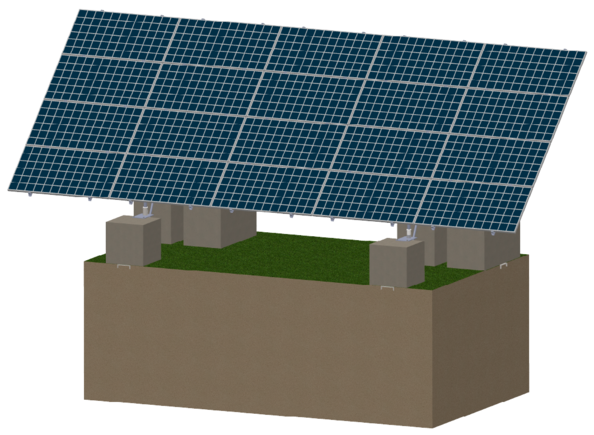 The Malina Solar fra‍‍‍mework is compatible with any type of terrain, module, design configuration and foundation type. This makes our racking flexible to fulfill project specifications. Malina racking kits are quick and easy to install - experienced installers average only 7 hours per rack, and can expect a 40% reduction in installation costs. See below for a breakdown of the installation process! 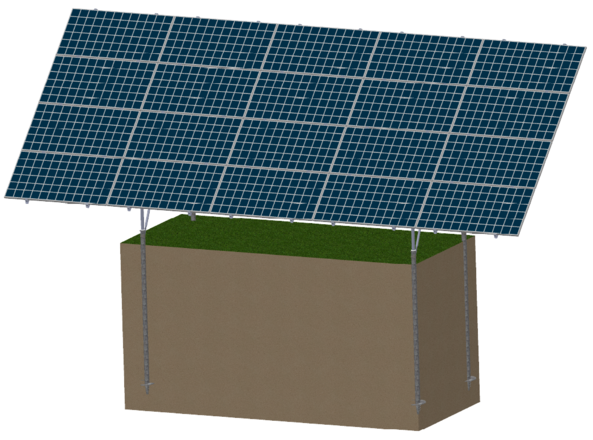 We offer our solar structures mounted using either anchors or ballasts, which can both be seen b‍‍‍elow. Click on the racks to see more about them, including specs and sizes offered!